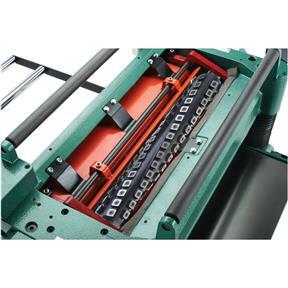 We've taken one of the most popular planers ever and built it into an Extreme Machine! Just look at the features on this monster. 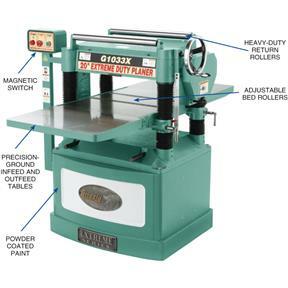 Solid cast iron extension tables make this smooth surface ground planer table just short of 5' long! You can't get better support from a planer than that. The large handwheel makes table movement silky smooth and the super rigid pedestal holds the power controls at a convenient height. 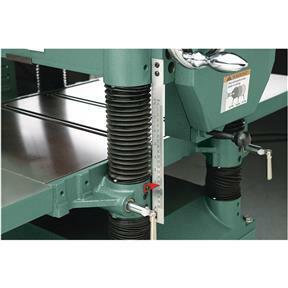 The extra heavy-duty welded steel base also makes for a very stable machine. Approximate shipping weight: 909 lbs. This replaced a 30 year old Delta 13 machine. Other than being heavy as h##l to get to my basement shop, I love it. Quiet and super smooth cut on all woods I have tried so far. Bought this 20 inch planer about a month ago and finally was able to get it into my workshop. The 900 lbs of shipping weight is no small item to move around. Needed a pallet jack to move it from driveway to workshop. Workshop is five stairs up and had to seperate the machine from motor and base to make it more managable. Everything came apart and went back together pretty easy. Had to use engine lift to get it off of base and on metal ramps to slide into shop. Once in shop, was easy to lift once again to reassemble top to bottom. One screw that holds control button box on, was damaged and stripped. Accessories weigh about 75 lbs, but the hood and handle went on very easy with hardware and tools provided. Kit also comes with ten extra spiral repacement blades and tools for replacing them. Still have to assemble bed extensions and hook 240 volt power to run machine. Remember to check oil level before using machine too. Bought shop fox base, but this item does not really give much clearance for machine to roll, could have had bigger wheels to get more clearance. We will see how well it planes when im done. The table glides up and down so much easier than any 12 inch planer I have ever used. I expect a lot out of the 5HP motor as well as spped adjustments for board feed. I don't have anything negative to say about this machine. I love it. It's powerful, smooth, vibration free, and quiet while running. I have full confidence in its abilities and it performs as expected. However, like I stated in my jointer review, the shipping situation could definitely be better. Thanks for going the extra mile and sending second machine when freight company lost first one. One point though, pallet too small to be used by hand forks making it difficult to unload. Maybe turn pallet opening 90 degrees. Purchase was made a few months ago. I picked it up at the store a took it to the shop. Set it up with the book after placing it on the roller stand. Had some issues after it worked after a few weeks. The Tech Support was great and helped me address the issues.These guys are great. I got frustrated with the device but they remained calm and professional.This service is worth a lot because you have expert help. This machine is quite, powerful and I found you have no need for sand paper. If you feel the need to sand, you can because you can always run the wood back through the planer. 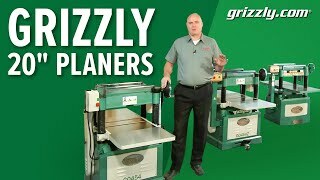 I work with cedar(rough cut) and this planer saves me time and money. I love it. This is not a toy, it is a professional grade planer and will exceed your expectations. With any complex device you have to learn the device and all of it's adjustments. The Tech Support is better that most and may give you peace of mind. 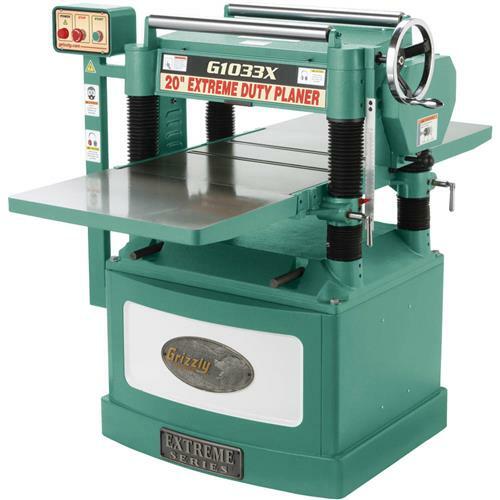 If you want a planer, this is the one to buy. I bought the planer on a Saturday and it was at my door on Friday. Well boxed and went together in about 1.5 hours and that was with putting together the roll cart for it. Check the fluids, added oil and leveled the infeed and outfeeds and it is good to go. Have run oak, maple, poplar through it in the last month and works like a charm. Wish I would of had this years ago great planer nice and quiet and very smooth finish. Very pleased with the performance, especially the quietness and smooth cut. I am very happy with this planer. It arrived with no problems or damage. Everything was within factory specifications, testing with the Rotacator. Have only used it for soft woods. It does a very nice job. No complaints or problems. Arrived a few days after I ordered. The trip down Eval Knieval's driveway (800 feet of a barely improved motocross trail) was hare-raising. My tractor (a Kubota 3901 with pallet forks) was just up to the task. Except for the weight, setup was simple. First board, reclaimed oak 2x4 from a 100 year old barn, came out perfectly flat and parallel. Gonna make a lot of beautiful pieces with this baby, that's for sure. Seriously, I waited for months for Grizzly to get a cheaper model in stock. Eventually gave up and pulled the trigger on this. Is that the Bear's clever strategy? The gearbox has a drain plug on the bottom and a fill plug on the side. When properly filled, the gearbox holds 16 ounces of 80-90W oil (I measured). ALWAYS remove the two cap screws at the top of the headpiece above the gearbox (see arrows in 2nd picture) when draining the gearbox. My gearbox actually had 24 oz of oil from the factory (probably filled from the cap screws), but when I drained the box without removing the cap screws, a vacuum lock prevented all of the oil from draining out. I only got 12 oz. out, then the box overflowed after adding a mere 4 oz of new oil. Fortunately Griz tech support told me about the cap screws (and sent the pic)--when I opened them, all of the old oil came out and I was able to refill with fresh, clean oil. BTW the cap screws are a much easier way of adding oil than the fill port on the side of the box. After a month or so of pretty regular use I have to say this is a great machine--haven't had to make a single adjustment, zero snipe, super-smooth results. This is a fabulous piece of equipment. Setup went smoothly. There is no comparison with my old 12" straight blade Makita. Cuts like a dream. It is so much fun running wide material through this baby. So far... after 30-40 board foot- wood is coming out smooth as glass. This machine is everything I had hoped. It's powerful, precise, and flawless in its performance. What a great machine!!! Planed enough cherry for large gun cabinet. Wondering why I own my drum sander. I purchased this in December to upgrade from my 13" Dewalt and wow what an upgrade! It is quite and gives a good surface. My only complaint is that the fast feed speed is not much faster than the slow feed speed. I do get some snipe, but I think that's just because I need to adjust the outfeed roller a bit. What a great planer! 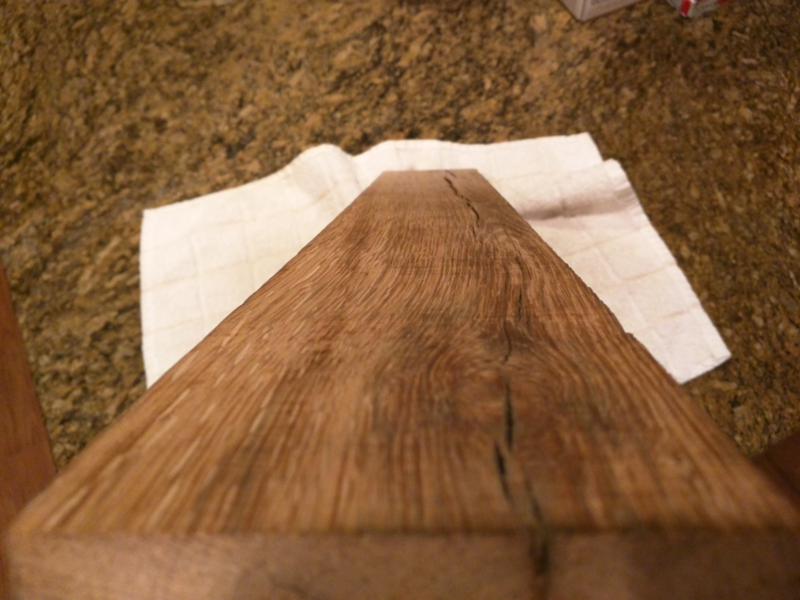 It needed no adjustment and smooths every board to almost a mirror finish. Love the Shelix head. I have owned this for about six months now. I'm very particular to having my machines setup perfect. I spent about 10 hours getting everything dialed in to within .002" when most of the tolerances Grizzly specifies are to .02". I definitely recommend getting a "Rotacator", it makes everything much easier. I have both beds perfectly flat along with the bed rollers, and did some playing with the height of the infeed/outfeed rollers, pressure bar, and chip breaker in their reference below the BDC of the planer head. I was able to achieve zero snipe across the board and even months later I rechecked and everything is still where I orginally set it. Some major tinkering up front will set you up for an awesome machine that cuts flawlessly leaving a glass finish, along with minal maintenance after the initial setup. I would definitely recommend this. I have had this machine for about 6 months now and it is my new shop favorite!! I work with large live edge slabs and heavy rough sawn stock. 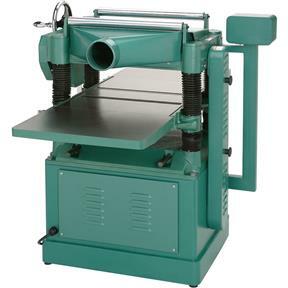 This machine has saved me hours and hours of back breaking work. 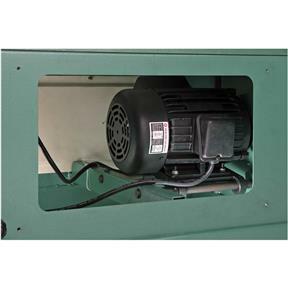 The adjustments are easy and accurate, the dust collection work very well, and the final pass finish is smooth as glass. As mentioned previously it comes very well packaged for shipping. My delivery was subbed out to SAIA and the crate had no damage at all, arrived in perfect condition. No kidding you need a forklift to get this thing from delivery point to where it will be set up. If you don't have one spend the extra cash for the rotocator, it will make set up worlds easier. Just purchased this product and had it delivered via UPS Freight. I have not ran a piece of wood through it yet but wanted to give an initial review based on my shipping experience. First: Grizzly customer service has been excellent thus far. They have gone out of their way to work with me through the issue below. Second: UPS Freight can best be described as OK to poor at best. Shipping fun. As you will find in countless YouTube reviews, UPS Freight will get it to you. The liftgate service was nice. The driver was professional and did his best to handle the equipment with care. Somewhere between where it left Grizzly warehouse and the arrival at my home is the problem. The shipping crate Grizzly shipped it in is well made. UPS somehow manage to put 3 forklift holes through the side of the box on three sides. Also it must have been dropped hard a few times because where the crate was affixed to the bottom was broken in several places to splinters. In addition, the crate was placed partially on a pallet but was hanging off it causing the machine to tip over once delivered. Fortunately, after unboxing the machine it was relatively undamaged inside. THANK YOU Grizzly for wrapping the machine in heavy mil plastic to protect it from rain and the elements during shipping. Will update this review once machine is setup and tested. Purchased 6 mos. ago. 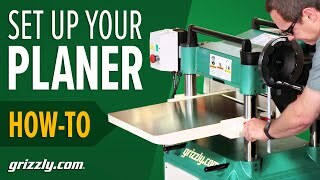 I use this machine everyday and it has saved me so much money and time it has already paid for itself. So smooth a finish I almost never use my drum sander anymore. I used to spend a fortune on sandpaper and the time for running it through my drum sander was slowing down my production time dramatically. This machine is heavy duty and I have never had a single problem with it. Love it!!!! 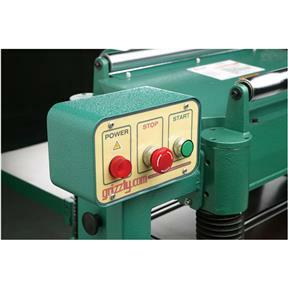 Q: Where is this planer manufactured?